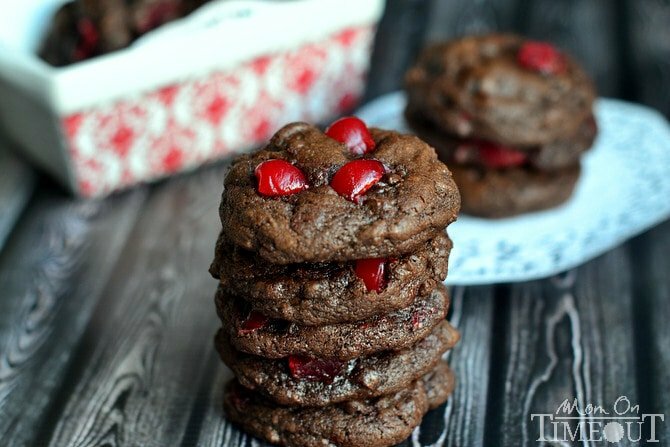 Chewy Chocolate Cherry Cookies are studded with maraschino cherries and mini chocolate chips! A match made in heaven! 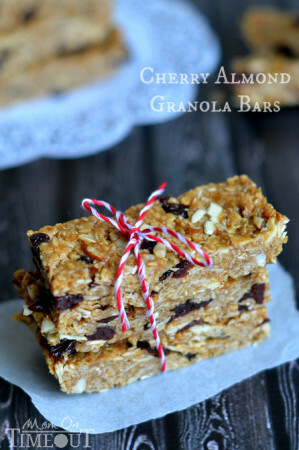 When I think of Valentine’s Day I gravitate towards two things – red velvet and cherries. Especially this year. 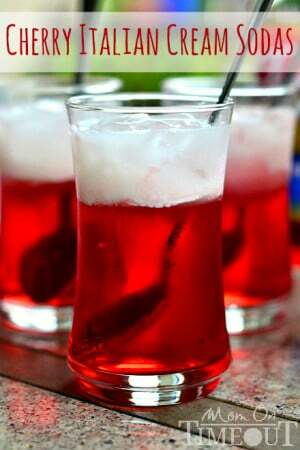 Maraschino cherries are pretty much my most favorite thing EVER. I keep my pantry stocked with at least three jars at all times cause I just never know when I’m going to need them. So, yeah, I basically look for any excuse to eat maraschino cherries and that’s one of the many reasons I’m excited about Valentine’s Day this year – cause I get to break out the maraschino cherries!! 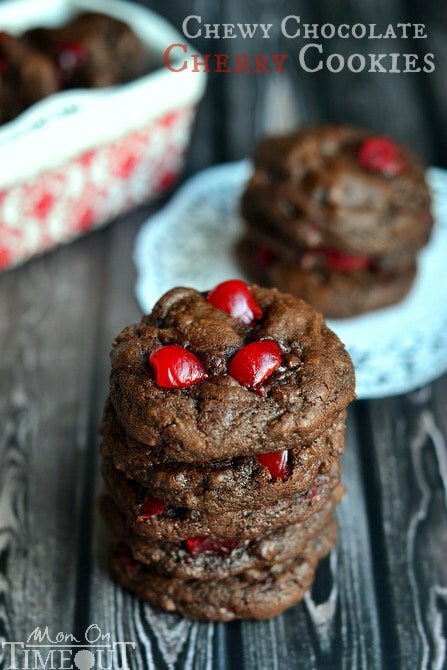 Make Valentine’s Day special for your loved ones and make a batch of these delicious chewy chocolate cherry cookies! Oh, heck! Don’t wait for Valentine’s Day – make them now! 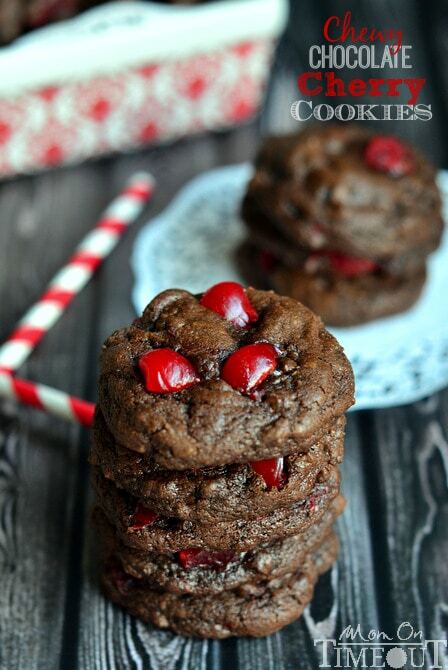 Fold in mini chocolate chips and chopped cherries. Scoop out rounded tablespoons of cookie dough onto prepared cookie sheet. Dough is very thick. So the my first attempt at these were a miss but I could taste the potential. I did drain the cherries but the moisture from the cherries still made the cookies almost soggy. 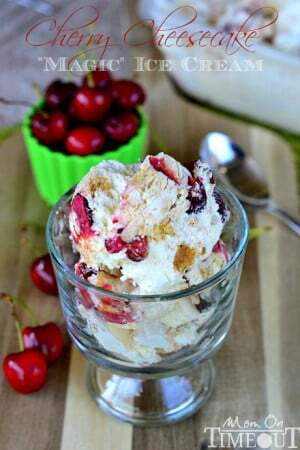 My 2nd attempt I used a bundle of paper towels to squeeze the cherries really dry and yumm. Thanks for sharing! So glad you gave it another go! 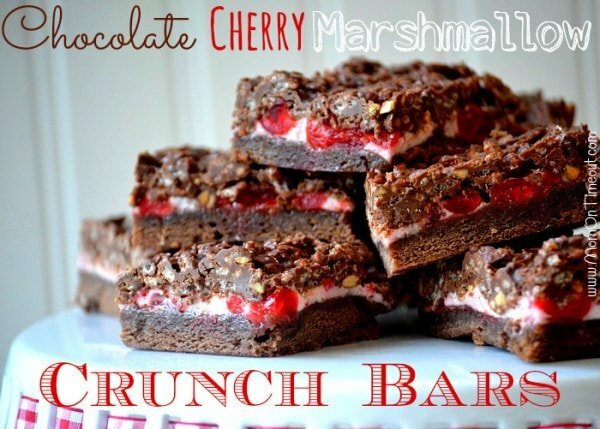 The cherries really have to be patted dry for this recipe. Beautiful pictures… Thank you… and recipes with ingredients I have on hand most of the time… You are making it easy for old and young folks to make others happy with these things made for sharing with others as gifts or just because!!! Thanks so much as I know I will enjoy Your site and enjoy giving to others!!! Thank you so much Judy! Hope you’re having a wonderful week!